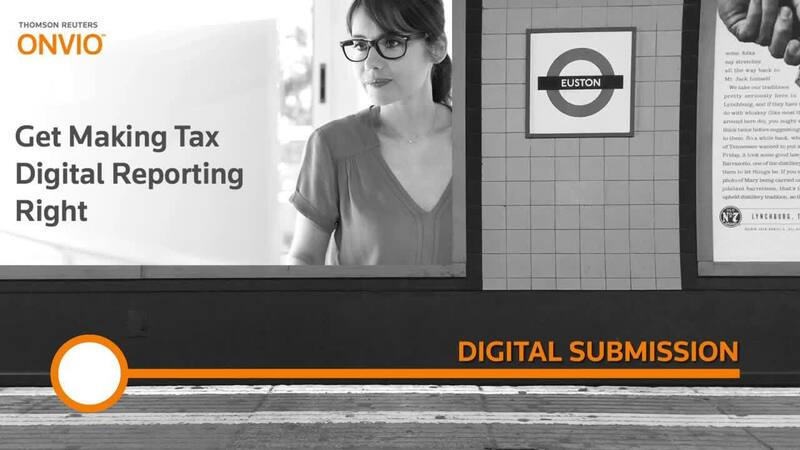 Thomson Reuters was one of the first providers to support agents in taking part in the HMRC income tax pilot with our Making Tax Digital software. With the deferral of MTD for income tax until April 2020, the focus has shifted to MTD for VAT reporting from April 2019. Manage the complete MTD for VAT process — from digitally recording transactions or importing data from a spreadsheet ready for collation, to producing the final VAT data ready for client approval and submitting to HMRC. OnBalance Express will allow your client to be compliant with the new digital record keeping requirements, whilst also easily sharing their data directly with you. For clients who do not want to progress beyond their spreadsheet, a simple mapping and import routine collates their VAT data ready for your review and submission. This also allows for import from other bookkeeping products. Keep in close contact with your clients using our portals that allow for seamless notifications and exchange of data to enhance the experience and improve efficiency, whilst also allowing for client approval of the VAT data before reporting to HMRC. Regardless of the source of the digital records, a simple to use tool for collation and reporting the MTD for VAT data to HMRC. Define streamlined processes to match the services that you provide to your clients — vital for efficient working. Mark Purdue covers everything you need to know around MTD for VAT ahead of April. Onvio VAT solution has been developed to simplify the compliance process and automate your VAT. Gain a better understanding of the key functionality within our personal tax solution. We are proud that Onvio, our MTD software solution, has already won AccountingWEB’s Making Tax Digital Software of the Year 2017 Award. We are leading the way with trusted answers, technology and support around the biggest challenge facing accountants today. Complete the form below to request a call back from a Solutions Consultant.